If President Trump is honest in ending extremism, he has to stop supporting the Saudi war in Yemen, promoting Wahhabism as an ideology, and funding extremist groups, said Prof. Seyed Mohammad Marandi, political analyst at the University of Tehran. 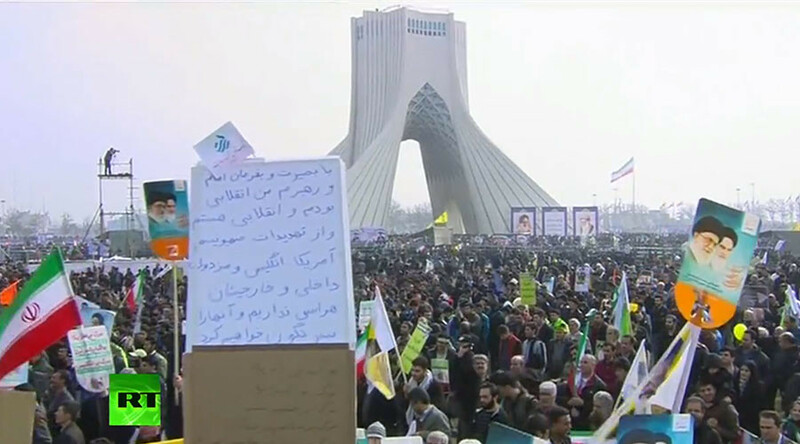 Tens of thousands of people have been gathering in several cities in Iran to mark the anniversary of the Iranian Revolution. This comes at a time of heightened tension between Teheran and Washington. RT: Do you think this increase in tension between Iran and the US could actually lead to conflict? SMM: I think people here, for the most part, think that this is highly unlikely. The US has many problems at home. The country is deeply divided, and the economic problems - alongside the fact that Americans are tired of war - make it highly unlikely that they would go after and try to pursue a new war with any country, especially a very powerful country like Iran. On the other hand, the US has major problems with many countries because of the antagonism that has been aroused as a result of Trump’s statements. The head of the European Council [Donald Tusk] has called Trump a threat to the EU. The Prime Minister of Australia [Malcolm Turnbull] has even had a very difficult conversation. Latin Americans and the Mexicans, are angry. And, of course, China. For the US to build a coalition against Iran, would be virtually impossible at this stage. Whereas I think that the other way around is quite possible. In other words, any of these countries will be moving closer toward Iran. Therefore, I don’t think there is any real, serious possibility at this stage. Trump is a businessman – it is possible that he is using his business techniques to gain some sort of concessions from Iran. But I find that to be highly unlikely. RT: In the run-up to the US election, Donald Trump promised less US meddling in other countries' affairs. Will the American military and its contractors be concerned about Trump's pledges? SMM: The US under Obama has been deeply involved in this region. They have supported extremists in Syria, Iraq, and Yemen alongside the Saudi regime, the Qatari regime, and the Turkish President [Recep Erdogan], and they’ve destroyed much of the region. And the region has not been in any Sunni versus Shia conflict at all. It is extremism versus everyone else. — RT America (@RT_America) 2 февраля 2017 г. In Syria, for example – [RT] reporters have been there often, and I’ve been there quite often over the past few years – the majority of people are Sunni. Yet they support the government in the face of these Wahhabi extremists. So Saudi Arabia has been supported by the US in creating these extremist groups – whether it’s ISIS in the past, or more recently Al-Qaeda. The US has directly been funding affiliates to Al-Qaeda, or allies of Al-Qaeda. This destructive policy Trump has opposed, and he has promised to end. This is probably the only good part with regard to Iran of what Trump has said so far. Yet, unless Trump recognizes the role of Iran in preventing extremists from taking over Syria, Iraq, and much of the rest of the region then there will be no solution to that problem. If Trump is really honest in ending extremism, then he has to end Saudi support for the slaughter in Yemen, as well as support for the Saudis in promoting Wahhabism as an ideology, as well as funding extremist groups. Trump needs Iran much more than he seems to think. RT: In the run-up to the election Donald Trump has actually promised less US meddling in other countries' affairs. The country's military and its contractors are used to a different approach, though. Are they concerned about Trump's pledges? David Swanson: Yes, candidate Donald Trump famously and to his credit suggested that he would engage in fewer wars, if any wars, of overthrow and so-called nation-building. This was very encouraging to people in the US who wanted to get out of this business and even see the current occupations of places like Afghanistan, the wars in Iran, Syria, Yemen, and elsewhere, ended. But President Trump has been very quick to back off on numerous commitments. He suggested reconsidering the very existence of NATO and backed off that immediately under the slightest pressure from the US military. He suggested scrapping a very expensive military airplane called the F-35 and reversed himself on that the minute he sat down with people from the Pentagon and Lockheed Martin, the manufacturer of that airplane. He has shown a pattern of following where the military establishment in Washington D.C. wants to go, if not pushing them a little further. 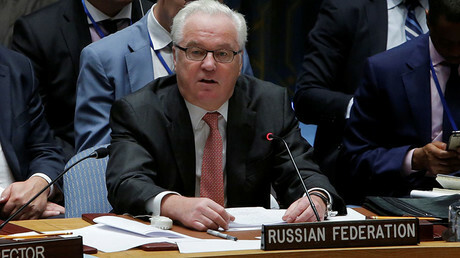 Yes, he is certainly committed to not overthrowing any new government, or starting any new wars, but since coming into power he has also been playing on quite different promises he made: promises to rule the world; promises to kill their families; promises to steal their oil, and so forth. The hostility that has been built up over the years with Iran makes Iran the most likely place for warmongers within the US government to push President Trump into a war. The minute that there is a new incident with Iran that any large section of the public takes seriously, President Trump will be very much inclined to respond militarily. RT: The US is already borderline unchallenged in its leading role as an international arms exporter. 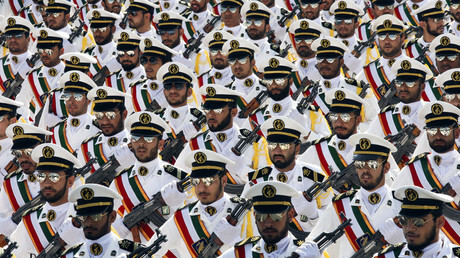 Do you think the US military manufacturers are excited about this escalation with Iran? DS: Clearly war has always been a profitable racket – that remains the case. You have members of the US Army and the Pentagon telling US media publications, like Politico, that the purpose of the Cold War with Russia is largely profit. There is certainly much profit to be made in any war and in any buildup toward war, including through weapon sales to nations in the region. The US is leading the way in arms deals with the Middle East, with the only other supplier even in the same ballpark is Russia. The members of the Cabinet and the inner circle of the Trump administration are in many cases deeply involved in the arms industry, and have been on the boards of major weapons manufacturers right up until entering public office. This is not the overriding factor. It is not all-determining. I think much of what is at stake here, much of what is driving this, is ideological. But the profit motive is a big one, and it is not a question of profit in the US public – it is a question of profiting certain individuals and their ability to corrupt the decisions of the US government.